My comment on the matter is 'adapt and overcome'. 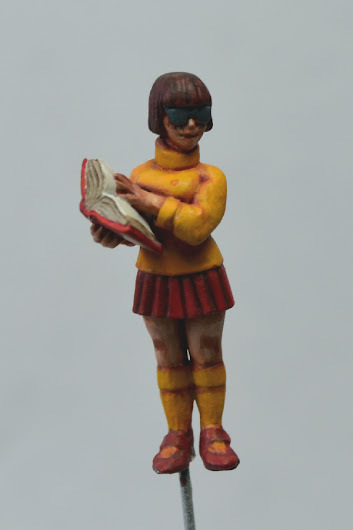 Do you really need the Fenris miniatures or can other miniatures from you collection fill the gap? 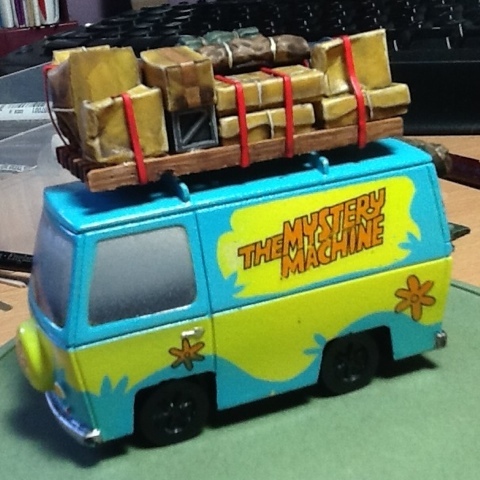 Does the Mystery Machine have to be perfect or just a representation of the vehicle? You've painted most of the gang... how much more is there to go? You still have 12 days... put together a base, finish painting stuff and get a diorama made! ...don't be such a bleeping perfectionist, you perfectionist ! Remember, this ISN'T a painting contest, it is a diorama contest. Yes, the paint jobs will reflect a bit in the voting but it is the story/theme that will win the day. I think you are looking too deeply at things. Tidy up the van with a brush and it will look fine. 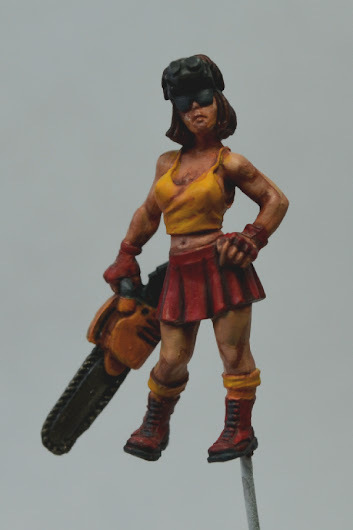 Just to encourage you to keep going, I will post starting pics of a few miniatures this weekend and I will have a finished diorama by the closing date. If I can do that, you can finish yours! It's not a case of perfectionism. Yes there are some bits of the van that annoy me, but ill live with them. I still have a LOT of work to do, and don't have base accessories and miniatures I ordered 8 weeks ago. Plus in the next 12 days I'm working away most of it. I don't have the bits from fenris, I don't have time and I don't have the desire to do something less than I planned. Why is it if others don't finish something it's an acceptable artistic temperament... Losing the muse? I get accused of being a perfectionist and giving up? No it isn't that. It's just a bit of enthusiasm. There are only 9 people in this (one of them is me) and to lose one is a blow ... and I am keen to see what you come up with. I am trying to cheekily motivate you with a bit of competition in the vain hope it will work. If it is impossible, then so be it... you won't get any stick from me (I had a huge period of complete hobby vagueness so I would be a hypocrite if I did give you stick). AND, you can't say you are not a perfectionist because we both know you are (and it isn't a bad thing!). It just seems a real shame for you to have finished so many of the miniatures and they don't have anywhere to go . If I accuse people of things, then they know it... don't see a bit of cheeky goading as an accusation of anything . Such a shame. I was really looking forward to seeing it finished. I expect to see it finished. Even if you can't finish it for the UDOD competition, please do it later. We are all certain that this will be a great diorama. That is good news . It would be a real shame not to see a finished product from you. With no worries about deadlines, the pressure is off now so I look forward to seeing your work later in the new year. I too look forward to seeing it finished, as and when that happens. Yes, I know it's late and still not finished, but it's NOT abandoned! The Scooby gang gets some luggage and supplies of Scooby snacks! Shame you didn't get it finished - would have beaten mine hands down - outstanding ! touching up to do glassesand goggles are just undercoated and YES i can see the huge great mould line now thank you! Reverse pictures also on my blog.